During our Modern Age, Fathers are under more stress and deception than at any other era of time. Where do you turn when you need Gods thoughts on the issues and emotions of life? The Bible Promise Book, now in a handsome fathers edition, featuring the beloved King James Version of the Bible. Barbours Bible Promise Books are perennial bestsellers, with millions of copies in print. This edition, created just for dads, features dozens of Bible Promise Book topics that will speak to your heartincluding Faith, Kindness, Perseverance, Wisdom, and more. 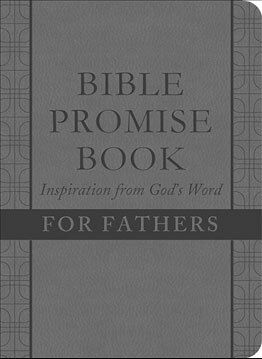 Bible Promises: Inspiration from Gods Word for Fathers offers biblical encouragement for your everyday life.